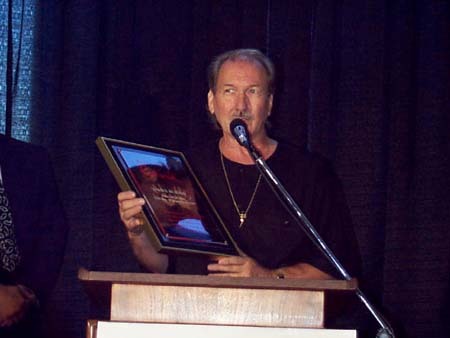 On September 26, 1997, James was inducted into the Guitar Center’s Hollywood RockWalk. 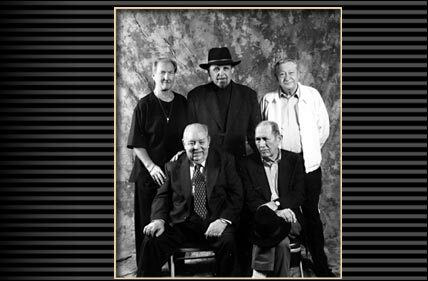 Together with Scotty Moore, Chet Atkins, Duane Eddy and Hank Garland, he had to put his hands in cement. From rockwalk.com . This highly acclaimed guitarist holds a distinction few, if any, can claim. He has played with Elvis Presley and the Monkees. 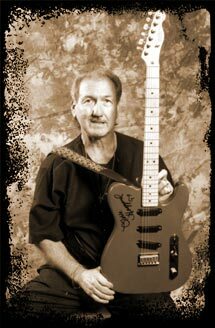 A session wizard who brought Nashville to rock music, and boogie-blues to country, Burton has played on records by Jerry Lee Lewis, Carl Perkins, Ricky Nelson, and Nancy Sinatra, among others. 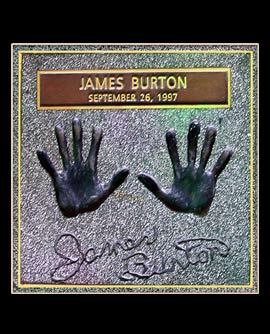 Widely regarded as a top guitarist, Burton has but one solo album, allowing his legendary licks to grace others’ records rather than his own.